I am just getting around to posting this picture I took a couple of weeks ago. These iris have bloomed and gone already! Thanks so much for taking time to comment on my Soaked Orchard Grass image! Your comments always mean a lot! Super capture! Love the presentation! 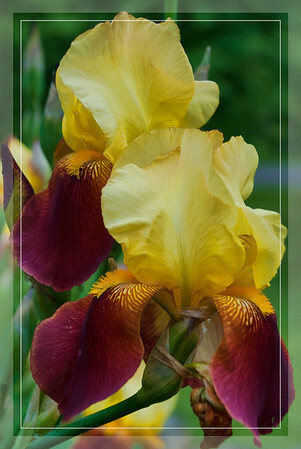 Exceptionally beautiful color combination in this variety.